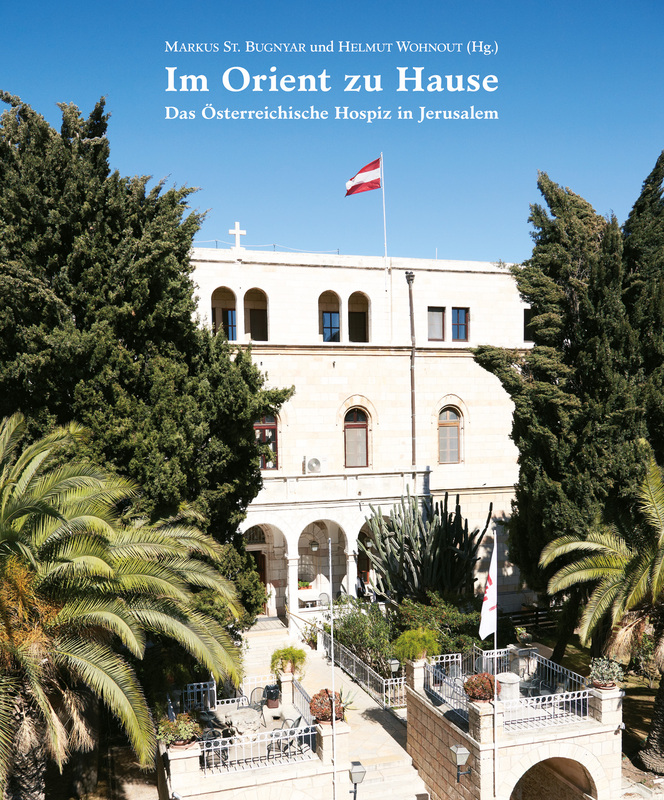 The Austrian Hospice of the Holy Family in Jerusalem has had a home in the Orient for more than 150 years. It was inaugurated in 1863. Since 1988, in other words for more than a quarter of a century, the Austrian Hospice has once again functioned as a pilgrims‘ hostel and education center run by the Catholic Church of Austria, after a long interval during which it was used as a hospital. 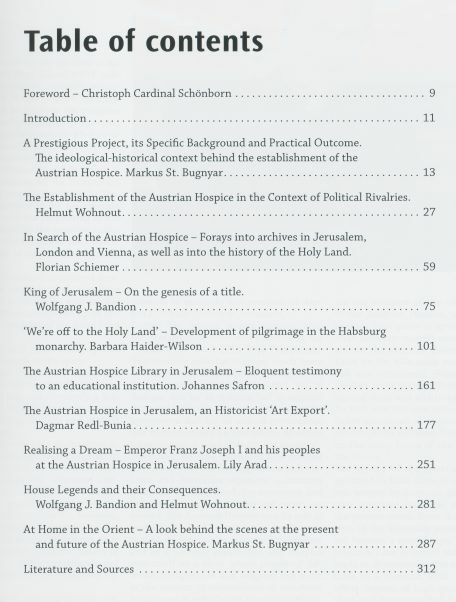 In the book theologians, historians, art historians and political scientists describe different facets of the Austrian Hospice, including its history and current role, not least with regard to Austria’s relationship with the Holy Land, which until the present day remains inextricably bound up with the Pilgrims‘ House. In addition to the authors‘ challenging and thought-provoking contributions, the volume also contains historical and contemporary photographs. 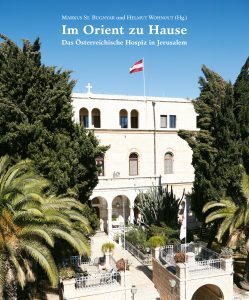 This generously proportioned illustrated book shows off the artistic features of the House to their best advantage and offers a rich impression of the Austrian Hospice’s unique location in the Old City of Jerusalem. This book is designed to be dipped into and enjoyed for its visual aspect, as well as to be read for pleasure and for academic purposes. Markus St. Bugnyar, born 5.3.1975 in Vienna, studied Catholic Theology and Religious Education, Bible Studies and Christian Archaeology at the University of Vienna and the École Biblique et archéologique française de Jérusalem. Ordained priest in Eisenstadt on 28.6.2000. Rector of the Austrian Hospice of the Holy Family since 1.4.2004. Hon. Prof at the Institute of Biblical Studies of the Philosophical-Theological College Benedict XVI. at the Abbey of Heiligenkreuz. Helmut Wohnout, born 3.2.1964 in Vienna, Dr. phil., Min.Rat, studied history at the University of Vienna and Georgetown University, Washington DC, 2011 habilitation in Austrian history at the Karl-Franzens-University of Graz. Head of department at the Federal Chancellery, managing director of the Karl von Vogelsang Institute for the Study of the History of Christian Democracy in Austria, numerous publications including: The Austrian Hospice in Jerusalem. History of the Pilgrims‘ House on the Via Dolorosa, Vienna/Cologne/Weimar 2000.